Chicagology (pronounced shə-kä-goh-OL-luh-jee) is a study of Chicago history with a focus on the period prior to the Second World War. The purpose of the site is to document common and not so common stories about the City of Chicago as they are discovered. It is not intended to be a nostalgia site nor to collect info in order to promote services or products of any kind. Research is a never-ending journey of discovery. Information posted here is constantly being revised with either additional or corrected information. Therefore, the site is in a constant growth and change state. However, browsing through Chicagology is like flipping the pages of a book. You can visit any section or page at random, yet have no difficulty in knowing where you are. I hope that you enjoy your visit and welcome any input that you want to offer—good or bad. The intent is to provide each visitor with a pleasant ad-free experience and to ignite a flame that discovering history is just as exciting as living it. 1850-1871 Pre-Fire Chicago – A large collection of photographs to recreate a vision of what the city looked like at this time. 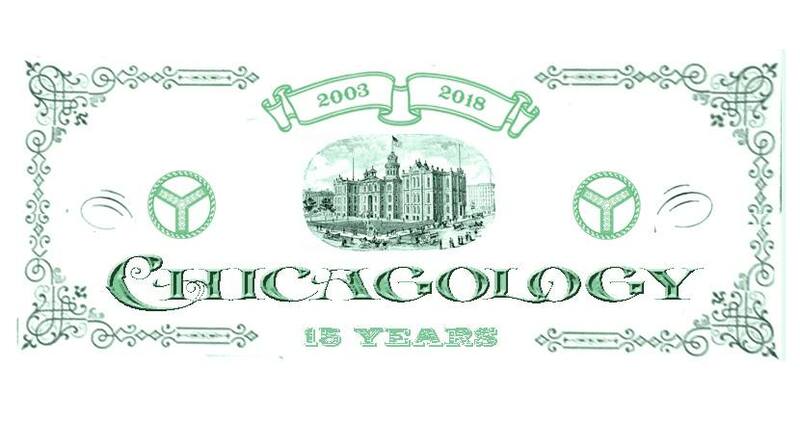 Chicago Illustrated – The complete collection of engravings and descriptions of 1865 Chicago from the rare 13 volume series published in the Chicago Illustrated portfolios. The Chicago Magazine – A short-lived publication about Chicago that was published in 1857. 1871 Chicago Fire – A section devoted to the cause and aftermath of the Great Fire. 1872-1879 Rebuilding of Chicago – A collection of the first buildings built after the Great Fire. 1874 Chicago Fire – The second great fire in Chicago occurred on July 14, 1874. 1880-1900 Golden Age of Chicago – A collection of the buildings that included the dawn of the skyscraper. 1893 World’s Fair – The biggest event of the 19th century was held in Chicago and the White City was born. 1896 Buffalo Bill’s Wild West Show – A detailed description of this popular show that opened the first Coliseum on June 1, 1896. 1909 Chicago Facts – A contemporary listing of Chicago’s accomplishments. 1909 Plan of Chicago – The Burnham Plan is an essay, principally authored by Daniel Burnham in 1909, entitled The Plan of Chicago. The essay was written in response to a request by the city’s social and business upper crust for a detailed city plan. 1910 Chicago – Article that was originally published in the 1912 booklet by the Illinois Central Railroad, “Chicago and the Tourist.” Embellished with period photographs of downtown Chicago. State Street in 1910 – Article published in the Chicago Examiner in 1910 about the booming department store industry on State Street. 1932 Chicago Architecture-Is It Beautiful? 1933 Century of Progress World’s Fair – The second World’s Fair held in Chicago celebrated her first hundred years. Robert & Peggy – Twelve part series of children visiting the Century of Progress exposition. 1933 Aida – A special performance of Aida at Soldiers’ Field. 1940 The New Deal – Article from the Chicago Tribune detailing the buildings lost to the wrecking ball due to the 1933 New Deal. Baseball – Take a trip to a bygone era where the Cubs were called the White Stockings and had to miss two seasons because a fire in 1871 destroyed their uniforms. 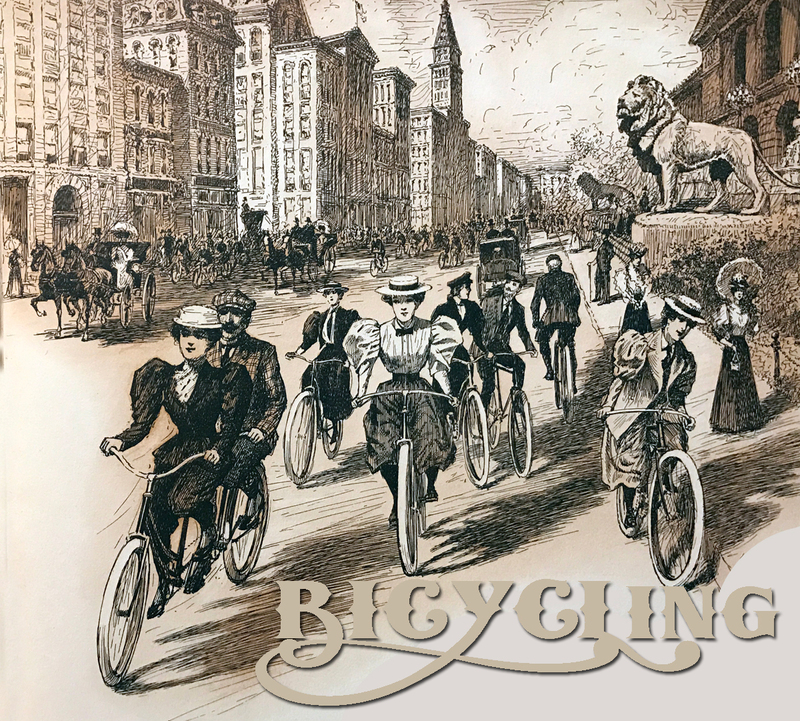 Bicycling – Before the automobile, the bicycle was the new mode of individual transportation and Chicago played a major role. Biographical essays on some of the first pioneers of Chicago. Camp Douglas – A Civil War prison of war camp that at one time was the setting of an event that could have changed the outcome of the war. Central Manufacturing District – The story of the first planned manufacturing district in the United States. Cemeteries – Chicago is the home to four of the oldest cemeteries in a large city. Chicago Streets – Articles about the street numbering logic as well as who her early streets were named after and why. Chicago Courthouses – A brief history of the seven Chicago courthouses. Chicago Fire Department – A brief history of the Chicago Fire Department. Chicago Harbor – Articles pertaining to the history of the harbors and life along the Chicago River. Chicago Libraries—A brief sketch of the libraries in Chicago written in 1895. Chicago Newspapers – A complete family tree directory of all the Chicago Newspapers. Organized by each successive owner by date. Chicago Police Department – A brief history of the Chicago Police Department plus several articles on the Chicago Police Department. Corporate Chicago – Brief corporate histories of a few of the many large corporations that started in Chicago. Fort Dearborn – The fort that started it all. Notorious Chicago – A collection of stories that made up Chicago’s notorious past. Population & Ward Maps – A complete set of charts that indicate each ward’s boundaries during Chicago’s early years. Raising Chicago – Article describing how the citizens of Chicago got its town out of the mud. Seal of Chicago – A brief description of the Seal of Chicago. 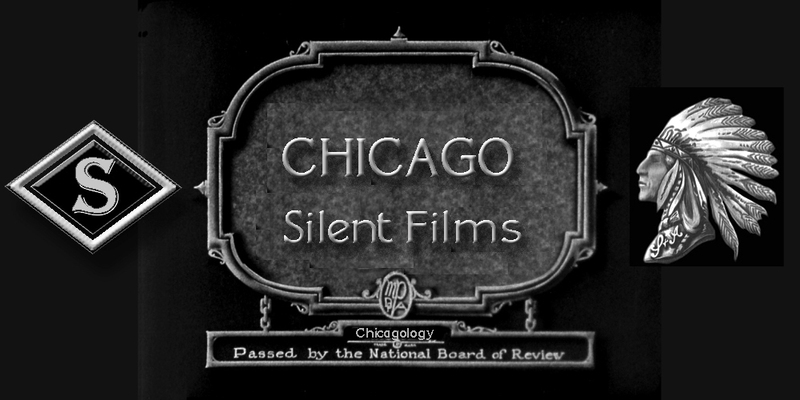 Silent Movie and Radio Capital – Chicago was briefly the silent movie capital of the country. Sporting Goods Capital — With names like Spalding, Wilson, Brunswick, Schwinn, and Kiefer, Chicago has been home to many of the most recognizable brands in sporting goods manufacturing. 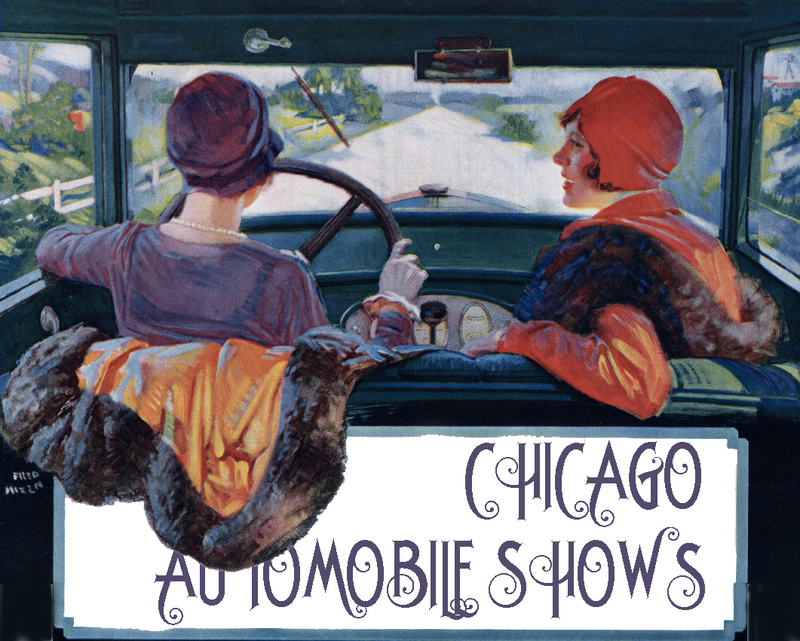 Theatres of Chicago — A comprehensive list of the the theatres and music houses that existed in pre-1900 Chicagp. Opera in Chicago — A brief history of Chicago’s own opera companies. Civic Opera House – A description of the new Civic Opera House written at the time of its opening in 1929. Chicago Symphony Orchestra — A short history on the Chicago Symphony Orchestra and Orchestra Hall, written in 1929 by CSO conductor Frederk Stock. Union Stock Yards—History of the Union Stock Yards. A Day at the Union Stockyard—An article that was published in the July 1907 issue of “Chicago The Great Central Market Magazine.” It was possibly written as a PR piece to combat Upton Sinclair’s exposé “The Jungle,” which was published as a book on February 26, 1906. 1910 Union Stock Yards Fire. 1934 Union Stock Yards Fire. I am researching Chicago Fire Fighters who died in the line of duty. There were several incidents that occurred in the commission houses on South Water. I was wondering if you could shed some light on how those businesses worked. I have a good idea but wanted to confirm with someone who might actually know. Currently I am working on an incident that occurred on block 19. Any help would be greatly appreciated! I have a ceramic Made in Japan. Salt,Pepper, Sugar that sit’s in a boat of my Great Grandmother’s. It read’s CHICAGO 1833-1933 Century of Progress on it. Would this be of interest to someone I could sell it to? I am trying to locate a full-page spread in the Daily Journal, Chicago, Illinois about my mother MARY DARDUGNO winning Chicago broad jump. I believe this article was featured in July, 1923 or 1924. Any help or direction will be very much appreciated. It will be interesting to see what artifacts are preserved from this year’s Cubs’ World Series victory over the Cleveland Indians last evening. Hopefully, it won’t be another 100+ years before they repeat. I am also wondering how odd those artifacts will look when the next century turns over. It was a great series with really good baseball. That’s something to remember for sure. I was wondering, did you had any pictures of pre-fire warehouses or pre-fire stables? Also, were there other stables in pre-fire Chicago after the union stockyards opened? The Reed & Gross company was located in Englewood (the studio may have been at NE corner Harvard Avenue & 65th Street aka H.H.Gross Subdivision) 1885-88. They produced units of BATTLE OF GETTYSBURG and JERUSALEM ON THE DAY OF THE CRUCIFIXION for cities from coast to coast and beyond: Australia, New Zealand, Canada, England, Europe, West Indies, South American.In autumn 1888 they removed to Australia to set up 2 rotundas in Melbourne,1 in Adelaide,1 in Sydney, and later in New Zealand. They returned by 1890 and produced THE CHICAGO FIRE Panorama ,using two 5 x 40 1/10th scale prototypes (1) from the site of Fort Dearborn, which was donated to Chicago Historical Society in 1905), and (2) from the point of view of the former BATTLE OF SHILOH panorama rotunda which stood on Michigan between Madison and Monroe; this latter prototype canvas was on display at WHITE CITY AMUSEMENT PARK, courtesy Emmett W. McConnell, “The Panorama King”. Why no mention of Du Sable in the Fort Dearborn segment?